Global vice-president of Infinet Wireless, Kamal Mokrani, has said that the introduction of its new generation of products will ensure it meets the ever-evolving demands of its customers in relation to emerging technologies such as 5G and internet of things. 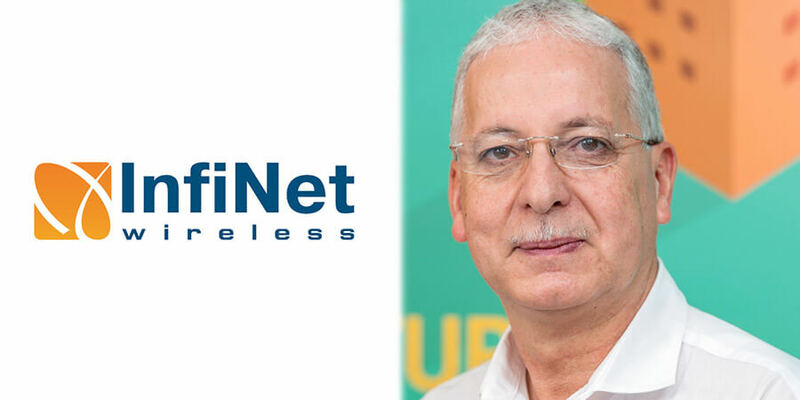 Under the dynamic leadership and vision of Mokrani, Infinet Wireless has firmly established itself globally as a solutions provider that delivers industry-leading performance, unparalleled reliability and the lowest cost of ownership of a complete family of high-capacity wireless solutions. Telecom Review managed to secure an exclusive with the charismatic Global VP ahead of GITEX Technology Week, where the company will showcase its new range of innovative wireless solutions. In addition to this, Mokrani outlines what differentiates Infinet Wireless from its competitors, the opportunities presented by emerging technologies such as AI and 5G, and his objectives for the future. How important an event is GITEX for InfiNet Wireless - it obviously allows you to solidify the existing relationships you have with your partners, but does the conference present you with an opportunity to generate new business opportunities? 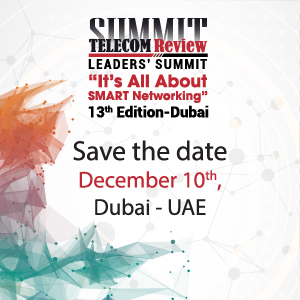 Undoubtedly, the primary focus for InfiNet Wireless at this year's event in Dubai, just like for previous ones, will be to further strengthen our presence in the Middle Eastern region. We will continue to demonstrate all the benefits we can bring to our partners and end users, launch a range of innovative wireless solutions and hopefully establish new and long-lasting relationships. For us, GITEX surely remains the place to see, hear, touch, and play with other emerging technologies. 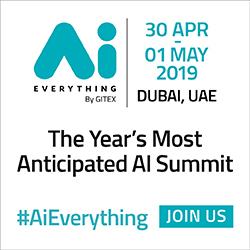 This event allows us to constructively exchange views and opinions with various players on the subjects of IoT, 5G, smart cities, intelligent oilfields, autonomous cars, etc. Our excellence achieved over the past 25 years as a leader in the broadband wireless industry will enable us to conclude several new agreements with a number of partners and service providers from the region or even globally, ultimately allowing us to deploy new platforms for applications such as E-services in both the public and private sectors, digitalization in the energy sector, mission-critical communication, services for public safety and commercial customers, etc. InfiNet Wireless is a global leader in fixed broadband wireless connectivity, but in your expert opinion, what is it that differentiates InfiNet Wireless from its competitors? Over the years, we have deliberately stayed focused on one of our core competencies which is to design and manufacture innovative fixed broadband solutions and deliver entirely wireless platforms to all sectors of the industry, wherever they are located. We have been and continue to be a market-driven company which delivers unique technological value to our channel partners and end customers. We are continuously listening closely to all our external and internal stakeholders and making sure we are always ready to meet their ever changing and demanding needs. Today, we can proudly claim that we are able to deliver industry-leading performance, unparalleled reliability and lowest cost of ownership of a complete family of high-capacity wireless solutions, allowing our customers to build future-proofed infrastructures and letting them focus on running their respective businesses in the most productive way possible. Looking at it from a purely technical perspective, InfiNet has created a sustainable competitive advantage based on several technological features and ensuing benefits to our end users which other wireless vendors simply do not yet have. For example, we have optimized our underlying protocols and hardware platforms to carry video streams much more efficiently than anybody else. We are today working on a brand-new range of Software Defined Radios (or SDR's) which will deliver significantly higher capacity and performance, while requiring even less radio spectrum than is possible with today's technologies, e.g. up to 1.2 Gb/s in only 40MHz of channel size. Our new generation of wireless products will enable us to make the next leap forward by delivering future-proofed platforms with advanced capabilities to help address increasing customer demands, new IoT and 5G applications as well as new service trends. There is a lot of excitement in the ICT industry regarding the emergence of technologies like 5G and IoT. What new opportunities can these emerging technologies provide for InfiNet Wireless? 5G and IoT are expected to be major game changers for the next generation of technological platforms and associated applications and services. Their ultimate goal is to support the rising number of users by providing better speed, handling more data, greater responsiveness and connectivity to smart devices. However, the requirements for managing such platforms in a cost-effective manner will create various new challenges. For instance, the need to support future and diverse applications will require higher capacity, more reliable connectivity, lower latency, access security, etc.—all of which require tighter integration between the access platforms, core and transport layers of an end-to-end fixed and mobile network. At InfiNet, we recognized very early on that legacy cabled infrastructures can only take this technological revolution up to a certain point. Many of the unique selling points of IoT and 5G involve the necessary feature of mobility, with hard-wired solutions severely hampering the delivery of future applications and services. Wireless platforms, such as ours, present themselves as the obvious candidates for any organization with serious intent on deploying future 5G and IoT infrastructures. Our long-term goal has always been to significantly boost population coverage of high-speed broadband while at the same time minimizing capital expenditure and unlocking additional value in the most cost-efficient way. Attending events such as GITEX in Dubai allows our R&D teams to meet with like-minded developers and contribute to the future of business and consumer communications, all part of an open ecosystem that works together to realize these major game changers. We hope to secure new and exciting partnerships with various key players and help create tightly integrated solutions that combine InfiNet's solutions for next generation wide-area wireless IP networks with third-party ICT platforms for distributed, centralized and virtualized radio access. InfiNet Wireless has been a leader in the effort to bridge the digital divide between urban and rural areas in Africa. Can you highlight some of the successful projects you've been involved in on the African Continent? We have thousands of success stories from all corners of the world, with our wireless solutions deployed in all sectors of the industry. For Africa in particular, InfiNet's solutions have been largely deployed by internet service providers (ISPs) of all sizes to provide internet access for both urban and rural communities, ultimately bridging the digital divide. One of the most successful projects we have deployed is with a well-established ISP in Algeria. This service provider offers connectivity not only to enterprises of all sizes, but also to several schools and education establishments, often located in remote and difficult-to-reach parts of the country. By deploying InfiNet's advanced and reliable solutions, that can sustain even the harshest of terrains and climates, the ISP was able to deliver its services wirelessly across distances of more than 100 km, ultimately increasing studying opportunities for remote communities and contributing to the nurturing and development of the local economy. Probably the biggest impact InfiNet has had in Africa was in the health sector, where mobile clinics were connected wirelessly to the nearest and better equipped hospitals in countries such as South Africa, Cameroon and Tanzania. Visiting doctors and nurses were able to deliver primary healthcare directly to patients in rural villages with experts available remotely to help diagnose and treat common complaints such as HIV, Malaria, STIs and pregnancy without requiring patients to travel to the city. We have also delivered wireless solutions to various players in the mining industry, such as Anglo American and the De Beers Group, to enable them to connect remote sites to their control centers for the simultaneous transmission of voice, data and video. Homeland security, border control and traffic management are just three other applications in which our wireless solutions have been used to improve people's daily lives, across the African continent. CCTV solutions developed by InfiNet Wireless have reduced crime in a Colombian town by 45%. Are you implementing your cost-effective wireless infrastructure in any other Latin American countries to help law enforcement officials fight crime? Building on our past successes in Latin America, with both public and private sector projects, we are today implementing a growing number of new large-scale CCTV projects throughout the region. There are also many emerging requirements for video surveillance, especially when combined with other applications related to deploying solutions for traffic management and smart cities, a relatively new concept in many countries of the region. We are also witnessing an increasing demand for homeland security due to various political unrests and the mass migration of communities. In Brazil, for example, as part of a “growth acceleration program”, the government made significant investments in order to narrow the gap between the richer and poorer districts of its major cities, ultimately reducing violent crime and improving the overall security and safety of its citizens. In the southern districts of Columbia, where rising crime rates were stretching police and government resources very thinly, InfiNet and its local partners worked very closely worked with the local authorities to provide a state-of-the-art CCTV infrastructure to prevent drug trafficking and theft of remote government assets. In Mexico, various port authorities have deployed CCTV solutions to monitor and secure the movement of cargo containers for a wide range of commodities such as petroleum, chemicals and agricultural produce. In Chile, we are working with the main service providers to provide remote monitoring of various mining locations as well as some of the country's top skiing resorts. To address such a diverse need for security, we have further enhanced our existing solutions to carry even more data within the same spectrum and provide high definition video streams to allow all the usual analytics (e.g. face recognition, ANPR, etc.) to be undertaken by the local and regional law enforcement agencies in a dynamic manner. We are also designing a few new projects for surveillance technologies using drones, which are rapidly gaining popularity in the LATAM region. There have been some economic issues across the ICT industry this year, but how has 2018 been thus far for InfiNet Wireless, and what are your primary objectives and goals looking ahead to 2019? The use of any wireless technology, whatever its application, is often hampered by regulatory barriers which can make it difficult for companies such as InfiNet Wireless to develop the latest platforms, especially as airwaves become an even more scarce resource. Despite all these challenges, we have had a number of successes from all regions of the world throughout 2018 and we expect our company growth to continue to grow by double-digits in the years to come. There is a general consensus that digital technologies are going to transform almost everything we do and hopefully make future infrastructures more reliable, more connected, safer, more efficient and, above all, smarter. One of our most important goals as far as R&D is concerned is to continuously improve everything we deliver to our customers, e.g. capacity, spectral efficiency, latency, reliability, etc. Our new SDR wireless architecture will enable us to make the next leap forward by delivering much higher broadband performance that will in turn help transform how people use technology in their daily lives. This is indeed a major and strategic area of focus for our management team and we aim to enable seamless distribution and transport of content and applications by cooperating very closely with many of the big ICT and telecoms brands, to ultimately develop future-ready wireless solutions which will deliver advanced features and capabilities.